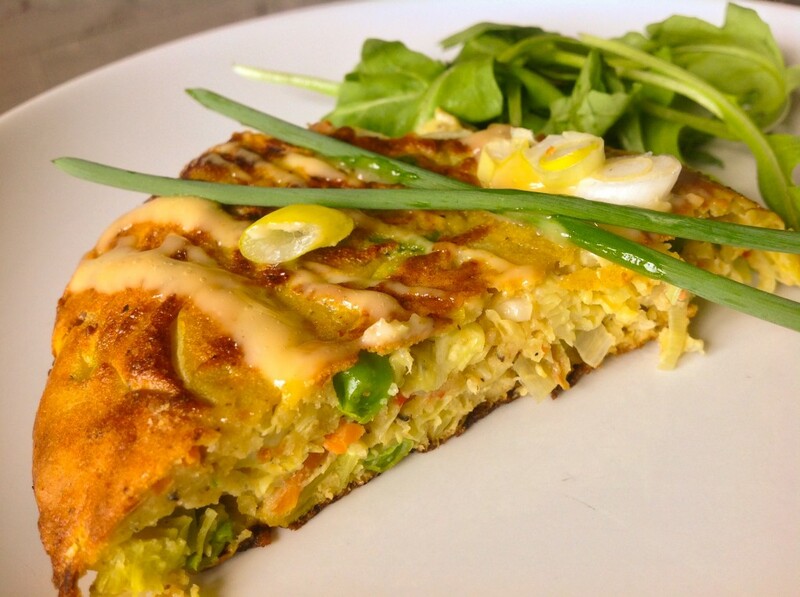 The Japanese call it Okonomiyaki, Japanese Pizza or Pancake, the Italians may call it Frittata and I call it plain and simply delicious! Adapted from the Japanese Okonomiyaki, which literally means ‘grilled, as you like it’, this dish is basically Japanese street food, consisting of shredded cabbage and vegetables mixed with eggs and grilled into a pancake. There are many variations which include seafood or bacon. This makes a perfect meal if you have leftover cabbage and can be served as a side dish or even as a meal on its own! Cabbage never tasted so good! In a large bowl, mix together the cabbage, carrots, leek, minced garlic and peas. Add the rice flour to the bowl, mixing well until everything is lightly coated with the flour. Mix the chicken stock and curry together with the beaten eggs. Stir the eggs into the bowl and mix until everything is well coated. You can either make individual portions using a small pan or else make a large one, using a larger pan. Small ones are easier to manage. Heat a little oil in the pan over medium heat. 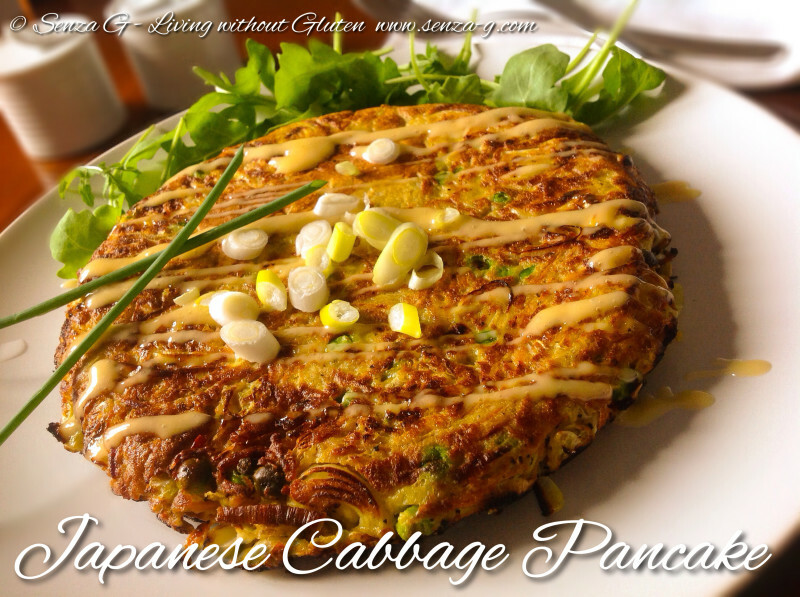 Once the oil is hot, place about two large ladlefuls of the cabbage mixture into the pan and use a spatula to flatten it out into a pancake that reaches to the edges of the pan. If you are making a large one, do the same using all of the mix to make a large pancake. Cook it for approx 4 to 5 minutes, until the bottom begins to brown. You can do this by lifting it slightly and gently with your spatula. Now using a plate bigger than the pan, place it on top of the pan and flip the pan over so the pancake falls into the plate. Add just a little more oil in the pan and slide the pancake back in, with the uncooked side facing down. Again, gently, use the spatula to press the pancake down. Cook for another 4 to 5 minutes and slide onto a serving plate. Drizzle with the sauce and sprinkle over some chopped spring onions. Combine all the ingredients and drizzle over the pancake.